This excellent looking designer brass earrings is bound to accentuate the look of any wearer through its sheer beauty and the quality of craftsmanship that Read More..has gone into its designing. This piece is sure to hold its own amidst any setting, and the quality of the semi-precious stone used in its crafting do justice to its posh appearance. 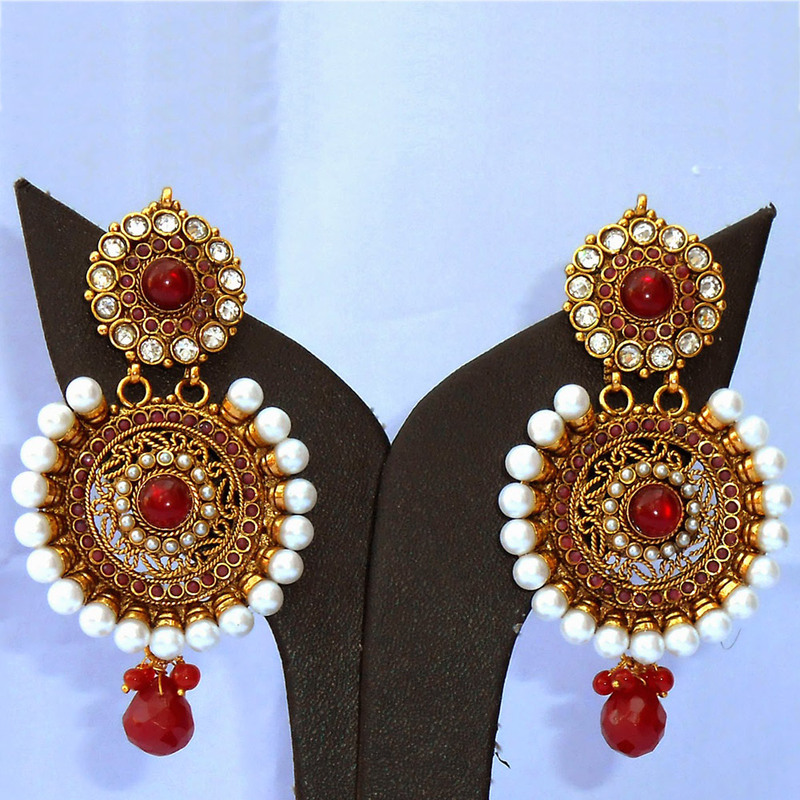 The red colored stones work as a nice contrast against the pearly white beads, and make this piece truly worth wearing on memorable occasions. Show Less..